Great interview questions to ask your candidates: how to pick the best ones? If you’re struggling to choose the best questions to ask your candidates in an interview, you’ve come to the right place. This guide, filled with links to the best interview questions examples and pro tips, is your perfect starting point! Why are interview questions important? Before we start, get our guide for conducting job interviews! Questions you ask in an interview can make or break your entire hiring process! This is because the job interview is the most critical part of the recruiting process. Asking the right interview questions is crucial for selecting your perfect candidate persona. But it is also an opportunity for top talent to choose your company as their new employer. So keep in mind that job interview questions are always a two-way street. This is why it is crucial that you invest some time and effort and find good interview questions to ask your candidates. Get our guide for creating candidate persona! It’s very important to know exactly who your candidate persona is, but even then it can be tough to single out the very best candidate. A major factor contributing to this is not asking the right interview questions. Carefully crafted interview questions are your only way to evaluate candidates in details and make a valid comparison between them. No matter how good your potential candidates may seem on the paper, seeing them in person in an interview is your ultimate opportunity to determine if they have the perfect combination of knowledge, skills and experience you are looking for. It is also a unique chance for you to evaluate if your perfect candidate will be a good fit for your team and company culture. Hiring the best talent by finding the perfect fit is the only way to make sure you don’t end up disappointed with your top candidate’s poor performance, early leave or termination. The way we recruit has changed. Compared to just a few years ago, candidates now have far more power during the job search. According to research and every recruiter and HR professional everyday work experience, the job market is now 90% candidate driven. This means that now employees have more options - especially those with in-demand skills. Consequently, finding and hiring ideal job candidates has become extremely hard, expensive and time-consuming. Asking the right interview questions will win you top talent, while asking the wrong ones can seriously hurt your recruiting efforts. According to LinkedIn Talent trends Report 2015, 83% of talent says a negative interview experience can change their mind about a role or company they once liked. On the flip side, 87% of talent says a positive interview experience can change their mind about a role and make them accept your job offer. Are you struggling to choose the best questions to ask your candidates in an interview? Interview questions come in all shapes and sizes. There are different ways and angles to approach learning more about someone as a potential employee. Which approach to choose? What are the best questions to ask in an interview? There are no perfect, one size fits all interview questions that are guaranteed to work every single time for every job position and every company. Your requirements will vary depending on your industry and the job position you are looking to fill. As a starting point, take a look at our list of every type of job interview questions you might need. Professional recruiters specialized in talent acquisition rely on a few essential types of interview questions to find out everything they need to know about the candidates. Most commonly used types of interview questions are designed to capture 5 crucial set of skills: analytical, communication, leadership, problem-solving and critical thinking skills. Additional 3 types of interview questions assess candidate’s personality, emotional intelligence and cultural fit. Finally, behavioral type of interview questions is especially useful because it can predict candidates’ future behavior. Read on to familiarize yourself with all the 9 types of interview questions. Pick the ones which seem like they might be a good fit for your hiring needs. Go ahead, mix and match different types of interviews questions. Then test them out to see what works best for you and find your winning combination of great interview questions to ask your candidates. Why should you ask candidates analytical skills questions? Analytical skills interview questions are great interview questions to ask if you want to find out how candidates react in uncommon and complicated situations. This type of question is used to measure candidate’s ability to think logically, evaluate advantages and disadvantages and to break down and analyze data. Analytical skills are very valuable and useful for finding and identifying problems and bottlenecks in your business process. For which job positions should you use analytical skills questions? Almost every position requires analytical skills to some extent, but in certain positions such as Finance, Investment Analyst, Marketing Strategist, Business Analyst or Operations Manager analytical skills are used on a daily basis, and candidates without them would be unable to do their jobs properly. 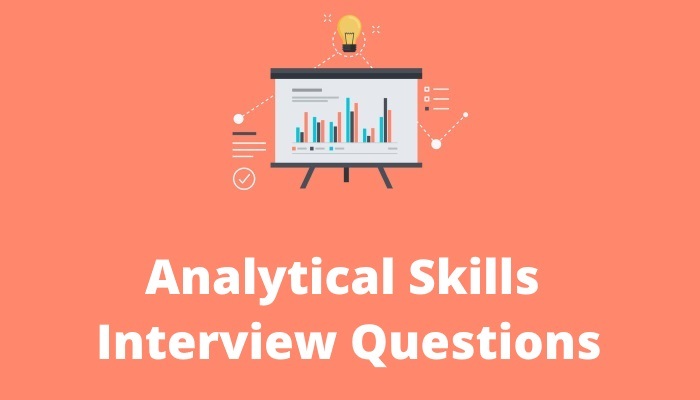 Check out these 6 great examples of analytical skills interview questions. Why should you ask candidates cultural fit questions? Hiring a candidate that does not fit your company’s culture is a serious problem. Although smart and experienced, these candidates often create an unhealthy atmosphere in the workplace. You want candidates whose values, beliefs and behavior fit in with your company’s culture. A team of employees who value the same things and believe in company’s vision and mission is more likely to achieve goals and be more productive. For which job positions should you use cultural fit questions? Cultural fit interview questions are a set of great interview questions to ask any candidate, regardless of the position they are being interviewed for. Use these great interview questions for every position you are looking to fill! 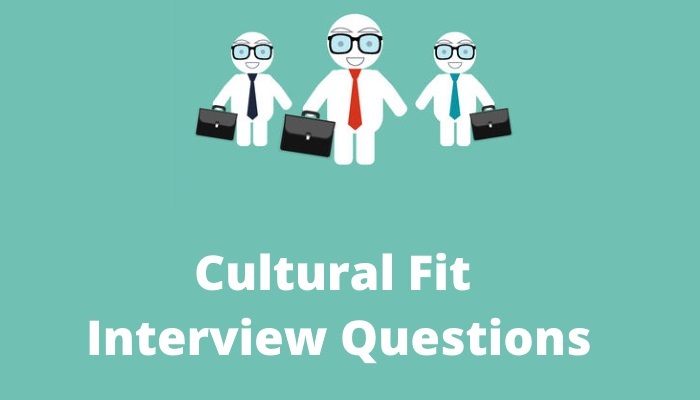 These top 11 cultural fit interview questions are all you’ll ever need to find that perfect fit. 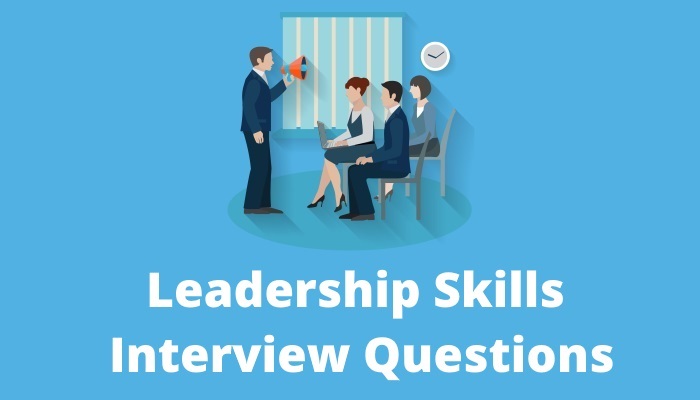 Why should you ask candidates leadership skills questions? If you are looking to hire a candidate who will serve in a leadership role in your company, it’s absolutely crucial to have great interview questions to ask your candidate which can identify their leadership capabilities, experience and knowledge. Good leaders add value to the company by fostering a collaborative environment and welcoming new ideas. Additionally, the most successful companies are the ones that foster leadership in all of their employees at every level of the organization. For which job positions are leadership skills questions a must? All of your senior level position (e.g. team leaders and managers) such as Social Media Managers, Operations Managers, HR Managers, IT Managers and Chief Technology Officers should be asked these questions. You may have a 99 (hiring) problems, but testing leadership skills with these 9 exceptional leadership skills interview questions won’t be one of them! Why should you ask candidates communication skills questions? 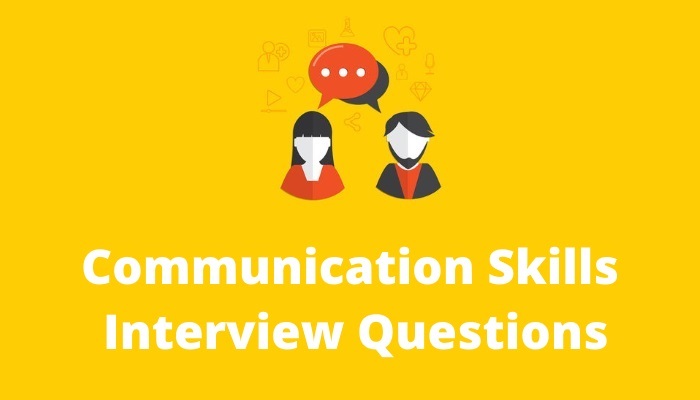 Communications skills should be on every interviewer’s interview questions list. This is because the ability to communicate properly is necessary not only for being more productive but also for creating a healthy and happy workplace. Communication skills interview questions are great interview questions to ask when trying to assess candidate’s ability to work properly with team members, clients, vendors, etc. For which job positions should you use communication skills questions? While there are some positions that don’t necessarily need perfect communication skills, some literally depend on them. Those positions include Salespeople, Social Media Managers, Call Center Representative, HR Consultants, Hotel Managers and Business Development Consultant. When you're hiring for these positions, you need to have great interview questions to ask your candidates! These top 12 communication skills interview questions are guaranteed to single out the best communicators among your candidates! Why should you ask candidates personality questions? Personality interview questions should be asked because personality cannot be expressed on a piece of paper, and there is no way for you to understand someone's personality by reading their CVs. Even though knowledge, skills and experience are important when hiring a new employee, screening for the right personality characteristics helps you ensure that the chosen candidate will be the best fit for not only for the job position but also for your team and company culture. For which job positions should you use personality questions? 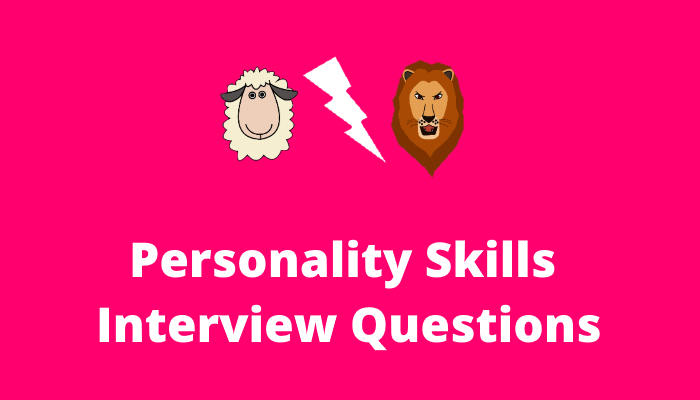 Personality interview questions should be a part of every interview, regardless of a position you are interviewing for. Which personality traits should you look for thought? That depends on the job position. What would be a good personality trait or quality for someone in the role you are looking to fill? Determine these qualities and ask the right questions to test them in your candidates! To figure out if candidates possess the personality fit that they are looking for, ask these 8 personality interview questions and get a closer glimpse at your candidate’s personality. Why should you ask candidates emotional intelligence questions? Emotional intelligence is the ability to identify and manage your own emotions and the emotions of others. High levels of emotional intelligence are proved to have a big impact on employee performance and productivity. Employees with a higher level of emotional intelligence can more efficiently deal with workplace changes, challenging situations and difficult colleagues. They also make great leaders. For which job positions should you use emotional intelligence questions? Emotional intelligence interview questions are great interview questions to ask when interviewing for any position, but absolutely essential for all of your senior level position (e.g. team leaders and managers) such as Social Media Managers, Operations Managers, HR Managers, IT Managers and Chief Technology Officers. 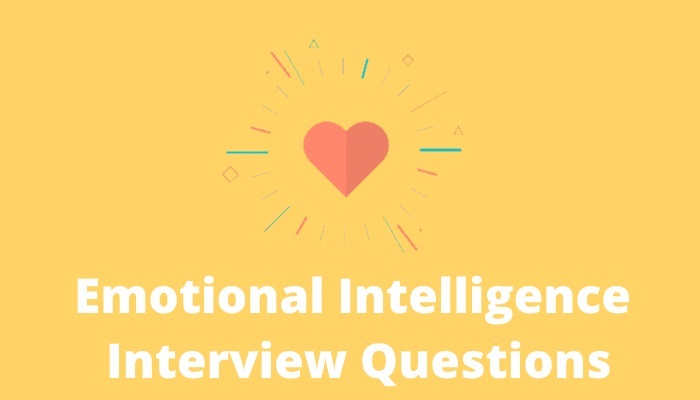 To help you dig deeper into a candidate's real level of emotional intelligence, we've put together a list of the top 5 emotional intelligence interview questions. Why should you ask candidates critical thinking questions? Critical thinking is a candidate’s ability to think independently, analyze and evaluate an issue, and understand logical connections between ideas. Companies benefit from employees who think critically (as opposed to mechanically performing tasks) because these individuals use an independent mindset to seek ways to improve processes. For which job positions should you use critical thinking questions? Being able to think critically is essential for certain roles and job positions. This is why these are great interview questions to ask candidates when hiring for positions such as Information Technology (IT), Business Analyst, Investment Analyst and Inventory Manager. Is your candidate an exceptional critical thinker? 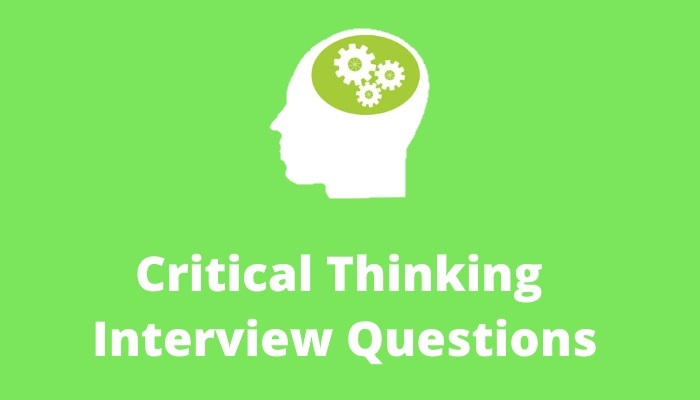 Find out with these carefully chosen top 5 critical thinking interview questions! Why should you ask candidates problem-solving questions? Problem-solving interview questions are used to identify candidate’s approach to difficult and unusual situations. Hiring candidates with strong problem-solving skills can be hugely beneficial for your company. Problems are inevitable in every business sector and will arise in one form or another. When problems do occur, employees with strong problem-solving skills will easily develop suitable solutions. For which job positions should you use problem-solving questions? 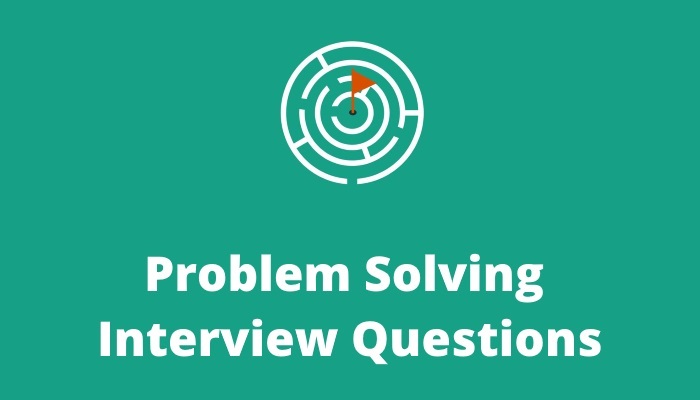 Problem-solving interview questions are one of the most popular sets of interview questions. These are great interview questions to ask when interviewing for many different positions, especially for .NET Developer, Business Analyst, Social Media Manager, Operations Manager, but also many others. Use these sample of the best problem-solving interview questions to understand how candidates approach complex work situations and implement effective solutions. Why should you ask candidates behavioral questions? Behavioral interview questions are questions about specific examples of past work experiences. Studies have shown that the best way of predicting future job performance is by understanding past performance. Employee behavior is important not only for job performance but also for the overall atmosphere in your workplace. For which job positions should you use behavioral questions? 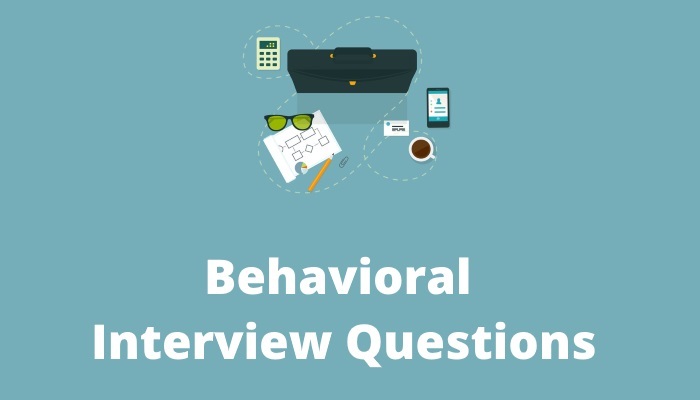 Behavioral interview questions are an inevitable set of questions for any candidate, regardless of the position they are being interviewed for. These are great interview questions to ask your candidates no matter the position you are hiring for! Use them for every position you are hiring for, just make sure to focus on a certain situation related to the specific job description. Follow these 5 tested behavioral interview questions and we guarantee you’ll have a much better chance of identifying a potentially great employee! This question lets candidates walk away feeling more satisfied knowing they had a chance to give it their all, which is especially important for candidates that don’t end up being hired. Take your interviewing strategy to a whole new level! Our TalentLyft Track can make your interviewing process much simpler and more organized. For starters, you could schedule every interview with just one click! Imagine sending automated emails with interview appointment that automatically sync with your work calendar. Cool, huh? You can also prepare your interview questions and score different candidates’ answers on the spot. Use our existing scorecards to evaluate your candidates, or create your own based on specific job interview questions. What is the Best Interview Technique?